Heavy 22ct gold wire elaborately twisted into a circular pendant wound round with a vine. 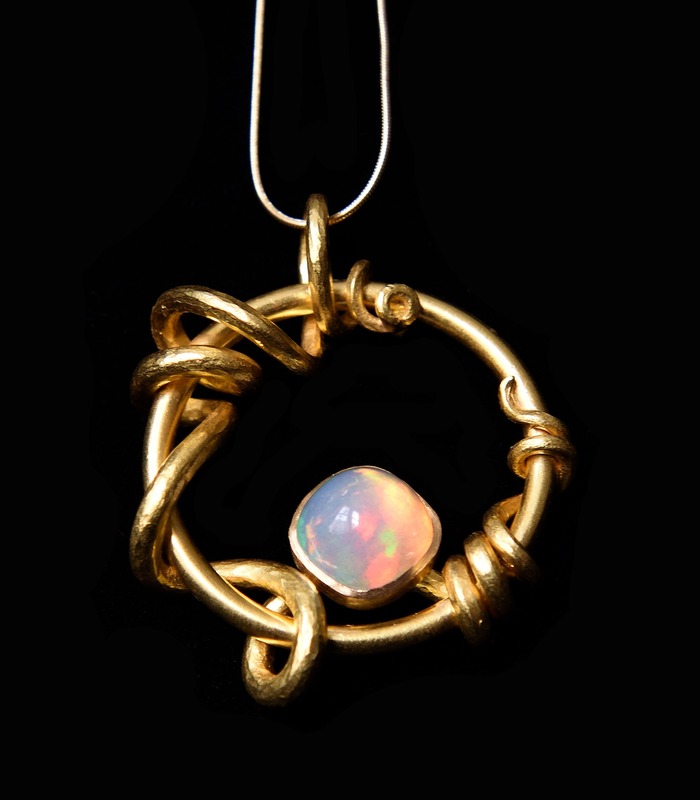 Nestling in this twist is the most exotic and lovely cushion Ethiopian opal. Approximately 3cm across.